By the time Ray Davies wrote the songs that made up Lola Versus Powerman And The Moneygoround Part One, it was as if he couldn’t stop himself thinking in broader, conceptual terms. His muse seemed to take an idea and run so far with it that song after song poured forth on a particular theme – an expansion process paralleled by the way his band’s LP titles had grown into mission statements: The Kinks Are the Village Green Preservation Society, followed by Arthur (Or The Decline And Fall Of The British Empire). Disgruntled by the comparatively poor sales of those albums, and by the way that the Arthur TV pop-opera project had been held up so long by business problems (before being cancelled) that The Who’s Tommy leapfrogged it to be hailed as the first “rock opera”, Davies’ new batch of material was driven by disaffection with the music business. While not exactly an opera, it loosely follows the callow newcomers of “The Contenders” as they contend with publishers, agents and the industry’s arcane accounting system, before ultimately taking solace, on “Got To Be Free”, in personal freedom and ethical purity, by opting to “stand up straight, let everybody see I ain’t nobody’s slave”. It’s a journey mapped out across varied musical terrain, from the good-timey jugband feel of publishers’ domain “Denmark Street”, through the music-hall mock-jollity of “The Moneygoround” – still the most acidly accurate summation of showbiz financial finagling – to the chunky riffing of “Powerman”, the eventual realisation of the gulf separating artists from businessmen. While the album was being recorded, keyboardist John Gosling was added to the band lineup, and his piano and organ bring depth and texture to songs like “Get Back In Line”, a session-man’s plaint at the power wielded over his career by the Musician’s Union, and “Top Of The Pops”. very riff itself seems drenched in cynical disillusion, while the concluding churchy organ greeting the agent’s declaration, “Your record’s just got to number one – and you know what this means?/It means you can make some real money!”, sounds like a bitter revelation. Short and sweet, “The Moneygoround” packs more useful information into two minutes than a course of seminars about how industry types carve their undeserved percentages from a writer’s income, seasoning reality with regret (“I thought they were my friends… I can’t believe I was so green”). The album’s two hit singles, though, were only tangentially connected to the album concept. One of the most accomplished examples of Davies’ witty wordplay, the gender-bender tale “Lola” was set to a tangy timbre of unison National steel and Martin acoustic guitars, fattened with piano, maracas and classic Kinks guitar/bass/drums chug. Ironically, in view of the lyric change required to get BBC airplay, one of the outtakes included here finds Davies singing not “C-O-L-A, cola”, but “I hate Coca-Cola” – though whether that would have circumvented the Beeb’s prohibition on advertising remains doubtful. Adding tack piano to the National steel for another distinctive timbre, “Apeman” again showcases Davies’ neatly crafted lyricism, while its theme of hankering after a simpler, prelapsarian state is taken up in songs written for the following year’s film soundtrack Percy, paired here with Lola Versus Powerman…. “God’s Children” boasts a similar back-to-the-garden sentiment as “Apeman”, but not as amusingly, its blend of piano, strings and ringing guitar arpeggios irresistibly recalling The Byrds of “Turn Turn Turn”. But the standout track is the beautiful, melancholy ballad “The Way Love Used To Be”, which again finds the narrator wistfully hankering after lost innocence. Elsewhere, “Completely” is a slow blues boogie instrumental in Fleetwood Mac style, and “Dreams” an escapist fantasy, while “Just Friends” employs harpsichord and strings behind Davies’ caricature British croon. Among the various alternative versions and remixes, the only actual Lola… outtakes are “Anytime”, a maudlin reassurance of support in plodding “Hey Jude” manner, and the swaggering, Bolan-esque boogie “The Good Life”, with promises of “wine, women and song, if you sign on the dotted line”. In this context, its concluding message that “if this is civilisation, I’d rather be uncivilised” offers another link cementing the anti-modernist spirit linking these two undervalued entries in the Kinks Kanon. Was “Lola” the first time you used the National steel guitar? Yes. On “Lola”, I wanted an intro similar to what we used on “Dedicated Follower Of Fashion”, which was two Fender acoustic guitars and Dave’s electric guitar; so I went down to Shaftesbury Avenue and bought a Martin guitar, and this National guitar that I got for £80, then double-tracked the Martin, and double-tracked the National – that’s what got that sound. That album was one of the earliest expressions of disaffection with the music business. What was your experience? We had three managers who led us to believe we were signing the best deal possible, but it was a young industry in Britain, and people would take advantage of you. We just wanted to make a record, and a three-single deal with Pye was the only deal available. We were going to be dropped before the third single, which was “You Really Got Me”. Lola Versus Powerman… was made during a transitional period for The Kinks, when John Gosling joined. What was the intention behind that? Did you get started on the rumoured Volume Two of Lola Versus Powerman…? Yes. Lola Versus Powerman… was good versus evil, obviously, and in Volume Two, I sketched out how you become your worst nightmare, how the good man goes so far he becomes the evil person he always fought against. But we had to do another tour, we had the RCA deal, and we had other recording projects that we had to work towards, and it got lost, unfortunately. Were the songs on Percy specifically written for the film, or did you have them already in the bag? Again, it was a masterpiece of mismanagement! “Lola” had been a worldwide hit, and America was crying out for us to go back there, but our managers decided it would be nice if we did the soundtrack to a film! There were a few songs already written, like “The Way Love Used To Be”, but most of it was done to fit the themes of the film. 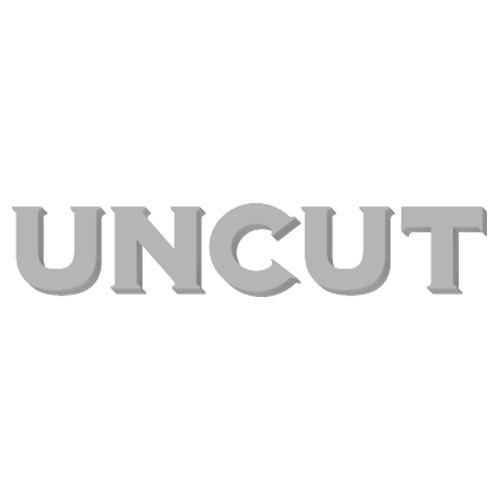 Uncut is also available as a digital edition! Download here on your iPad/iPhone and here on your Kindle Fire or Nook.